As an Australian it is obvious that you've had a love affair with trees. A sizable gum or eucalyptus tree is surely a majestic asset for your Brisbane North home. However, your trees can become vulnerable for the property causing significant damage to your home if it lacks proper maintenance. Moreover, in the event that you allow your trees to cultivate unmanageable, it may even shake the foundations of one's home. So, you should consult with an expert tree lopper who are able to allow you to in tree lopping Brisbane Northside. Furthermore, you should choose a professional company for tree removal Brisbane Northside. Making poor choices can impact the manner in which you manage these assets in the future. As a 20 years'company, Caboolture Tree Removal provides the most effective service in tree lopping Brisbane Northside. 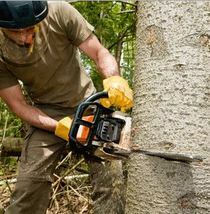 Furthermore, we can also help you to concentrate on the important thing areas of the necessities in stump grinding. Professional assistance from Caboolture Tree Removal caters to residential, commercial as well emergency tree removal Brisbane North. Being a veteran tree lopping Brisbane North service provider we recommend some precautionary measures for the trees. Within the maintenance of one's trees, we conduct a comprehensive inspection of the surrounding areas of trees. While assessing we can check how close it is to your property and any overhead wires. Because an over-sized tree can call a fire hazard during summer and tree lopping may be essential. You will get a totally free consultation by giving a phone call to 0736678052​. Our expert team is obviously willing to answer your queries. Your awareness is essential concerning the pitfalls of using unqualified and uninsured tree removal Brisbane Northside service providers. Moreover, it is risky in regards to tree removal of dangerous trees. You'll never get the necessary insurances from a home knocking tree lopper. However, it is a must equipment to execute the work safely. An affordable tree removal cost with insurance. Well equipped service with kinds of machinery like trucks, cranes, loaders, stump grinders, wood chippers for tree removal and tree lopping. We maintain the highest standards of risk management and safety criteria for the clients. We can help you to assist in necessary government paperwork, in order to avoid penalties for tree removal Brisbane Northside. In conclusion, Caboolture Tree Removal is just a tree maintenance and removal business and trusted by the individuals of Brisbane for over 20 years. Call today 0736678052​ and begin to see the difference we will make together with your trees. So, how can you contact us? If you are require effecient, cost effective and most of all the safest Brisbane Northside Tree lopping, call our experts at Caboolture Tree Removal North Brisbane today!